The Würth Group NA is a sponsor of Team Penske and the No. 2 Würth Ford Fusion driven by 2012 NASCAR Champion, Brad Keselowski in the Sprint Cup Series. Würth began a multi-year partnership with Team Penske in 2012. In 2016, Würth is the primary sponsor of Team Penske for three Sprint Cup Series races where the No. 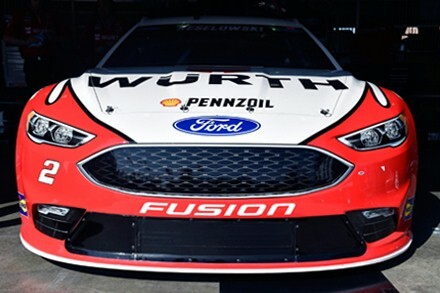 2 Würth Ford Fusion will be driven by Brad Keselowski. Würth is the associate sponsor for the remaining 33 Sprint Cup Series races in the 2016 NASCAR season. Team Penske is one of the most successful teams in the history of professional sports. Competing in a variety of disciplines, cars owned and prepared by Penske Racing have produced more than 380 major race wins, over 430 pole positions and 25 National Championships. The team has also earned 15 Indianapolis 500 victories in its storied history. Würth USA also began sponsoring Grant Enfinger, a Driver in the ARCA Racing Series and the NASCAR Camping World Truck Series in 2012. For more information and the latest updates, visit www.wurthracing.com. 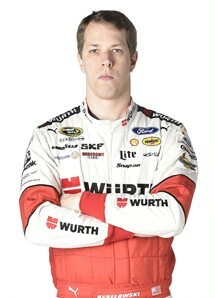 You can also connect with Würth Racing at Facebook.com/wurthracing or @wurthracing on Twitter.